Bubble Soccer What a Blast! 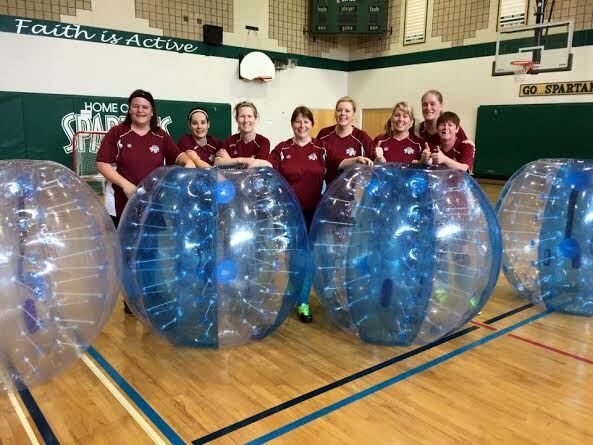 This past Sunday my soccer team Poise had the opportunity to be a part of the first ever London Bubble Soccer Tournament. I went into this tournament having some soccer skills but not knowing what to expect. The organizer from KnockOutStigma called all of the captains a few days before the tournament to assure us it would be “good clean fun” and there was not much chance of injury being wrapped in a bubble. This made me feel a lot better! I was pretty nervous thinking we would be the oldest team of all the women’s team but to my surprise we weren’t…we actually saw a lot of familiar faces on the field. It was four on four 30 minute games which was pretty exhausting running with inflated bubbles on, but we played hard…we won 2 and lost 2 games. It was a highly energized, well organized event ant I would like to thank KnockOut for being able to scratch Bubble Soccer off my bucket list. I will be participating in Knock Out events again for sure. They have a great mission to knockout stigma with LGBTQ athletes and their straight allies. 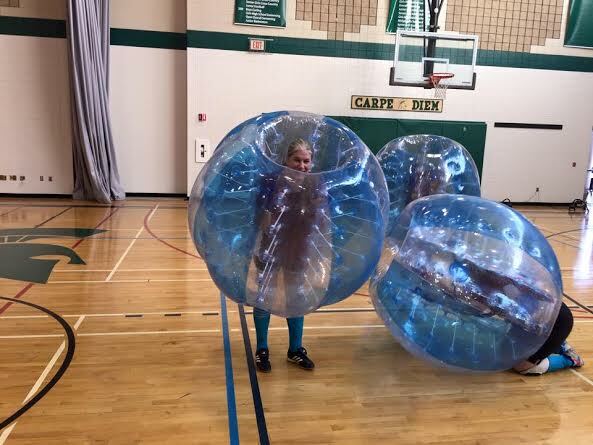 And Sam’s post about bubble soccer: Bubble soccer! Previous Post 4000 WordPress Followers! If there is a heaven this is what it will be!